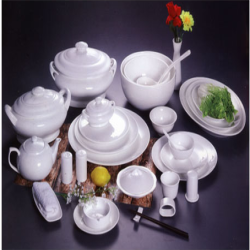 We provide our customers with a comprehensive range of dinner sets, available in various specifications. These are widely acclaimed by our clients for its optimum finish and sophisticated designs. We offer our range of products in custom specific shapes, sizes, colors and finish, to meet the requirements of our clients. These sets are highly used for commercial purposes and household purposes. Wilmax offers a wide selection of tea ware. Beautiful and practical shapes, unique design and pure white colour make Wilmax porcelain tableware versatile. It fits perfectly with a cozy cafe decor and will be suitable for a fine restaurant as well. 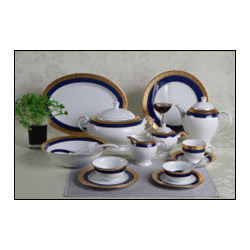 We have a wide range of fine china, bone china, and porcelain dinnerware for you to choose from. These dining sets will definitely add to the luxury of your home and reflect your lifestyle. Made with high alumina body & double rolled edge.. manufactured @ 1400degrees high temperature, this porcelain is almost difficult to chip in normal hotel use ! !